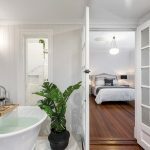 This ‘post post-war’ renovation is everything it should be – stylish and modern, with a classic touch that harkens back to its history and spirit. 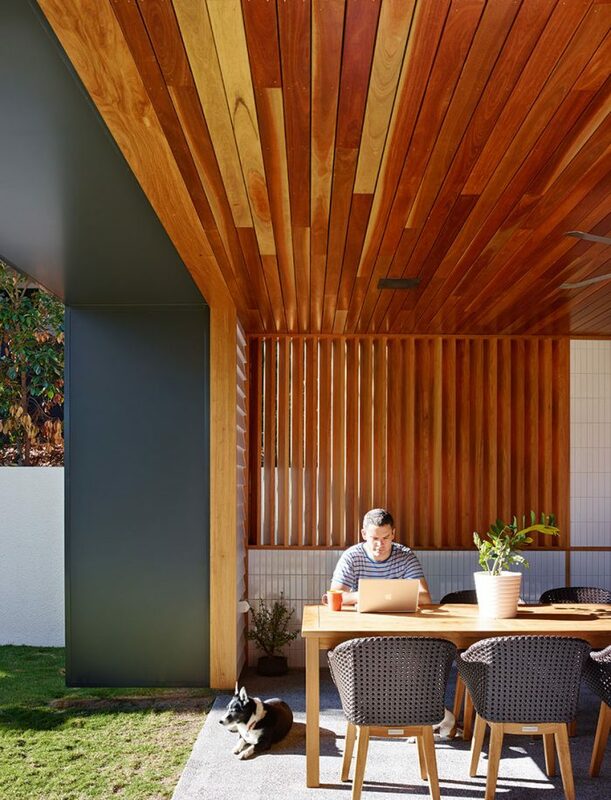 “The idea was a simple one – reinvigorating a post- war house and maximising the natural attributes of a wonderful, leafy site.” So says Shaun Lockyer, director at Shaun Lockyer Architects (SLa). 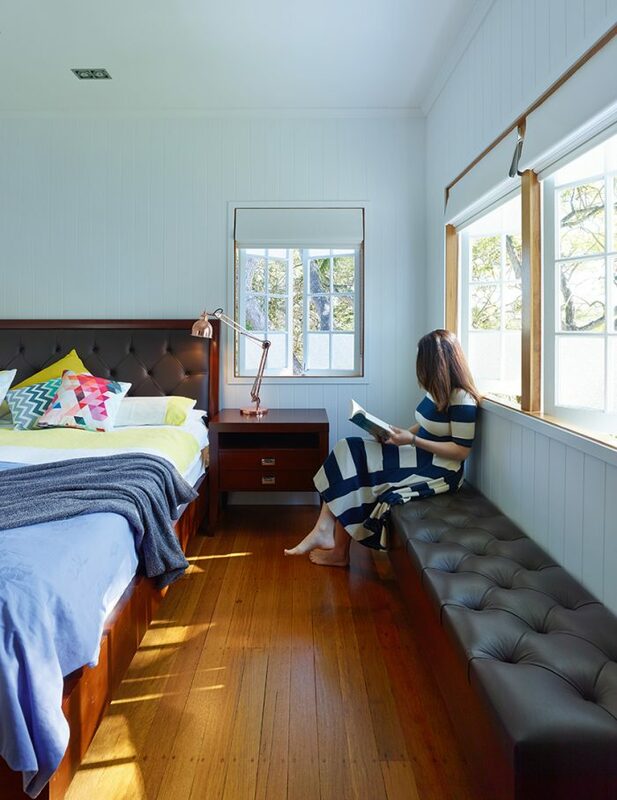 Although the post-war Bardon home was standing strong, it wasn’t quite what this young family required – meaning a revamp that would see it emerge squarely aside its modern compatriots. 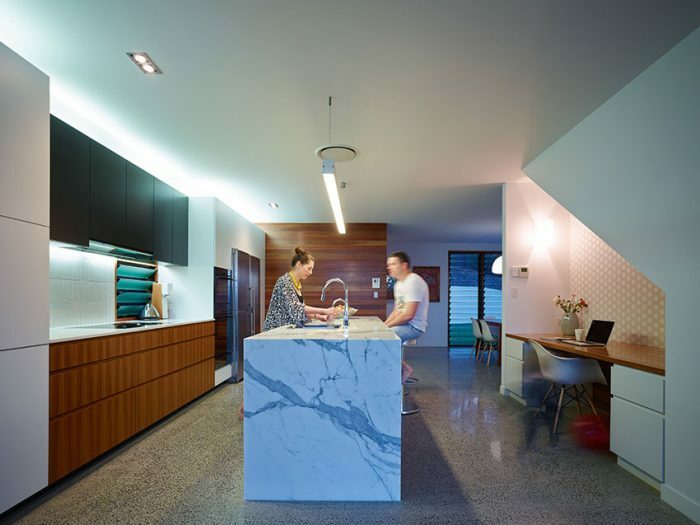 Since commencing in 2009, SLa has been focusing on creating memorable, sustainable and efficient homes; Shaun himself has over 20 years of international design experience, including nine years at the helm of Brisbane’s iconic Arkhefield and four at South Africa’s internationally-renowned SAOTA. 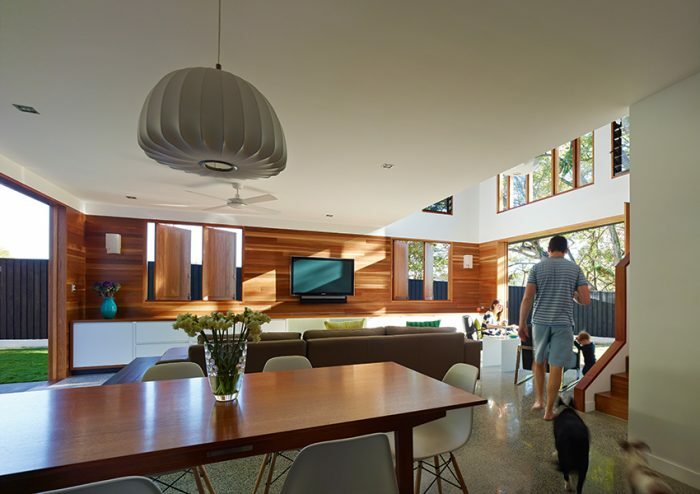 In addition to this, he has personal experience in renovating historical homes. 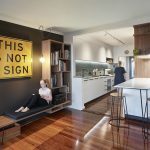 His own post-war home renovation, completed a few years prior, was certainly a source of inspiration for this undertaking. “It showed me the potential of retention and reinvigoration, rather than removal and rebuild,” he explains. 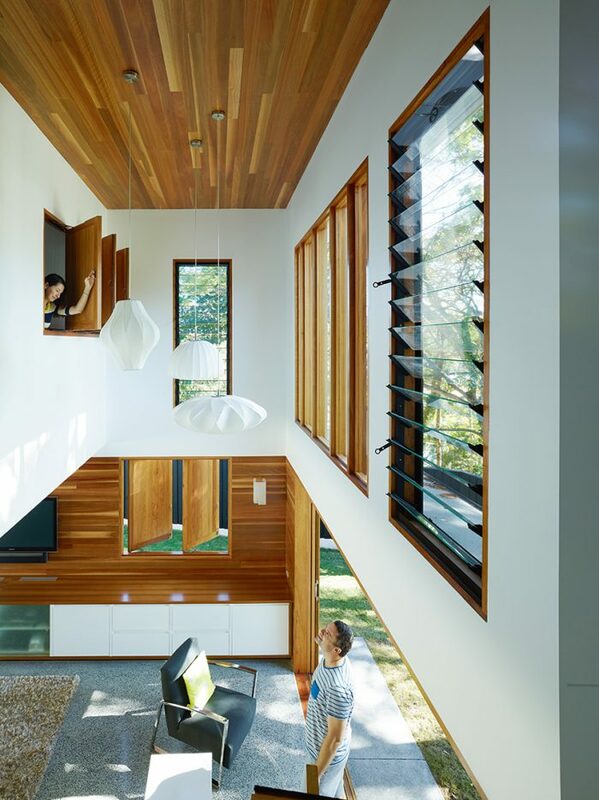 And so, this home wasn’t knocked to the ground and built anew. 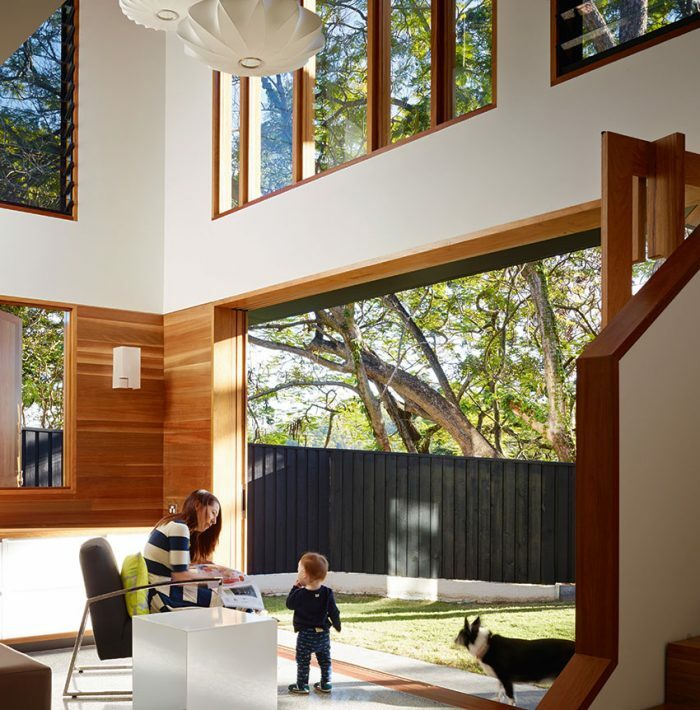 Its history inspired its redesign, creating a family home for Travis and Josie, their son Dash, and their smattering of dogs. 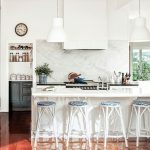 The home’s considerable expansions were completed by Cullum Hughes of CGH Constructions (“He was unreal,” says Shaun), creating a home that really hasn’t lost any of its original flavour. As Shaun says, it’s almost exactly as it was. 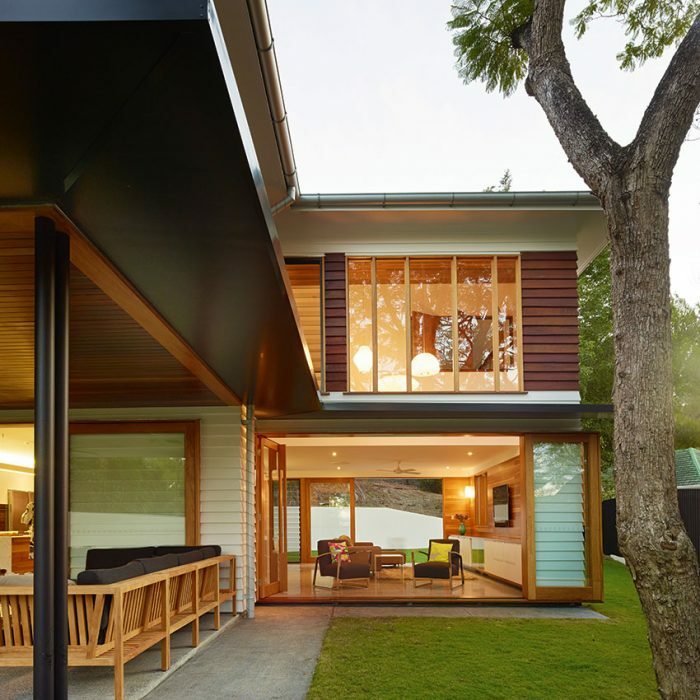 “We tried to keep the base all in glass to retain the form of the original house,” he says. 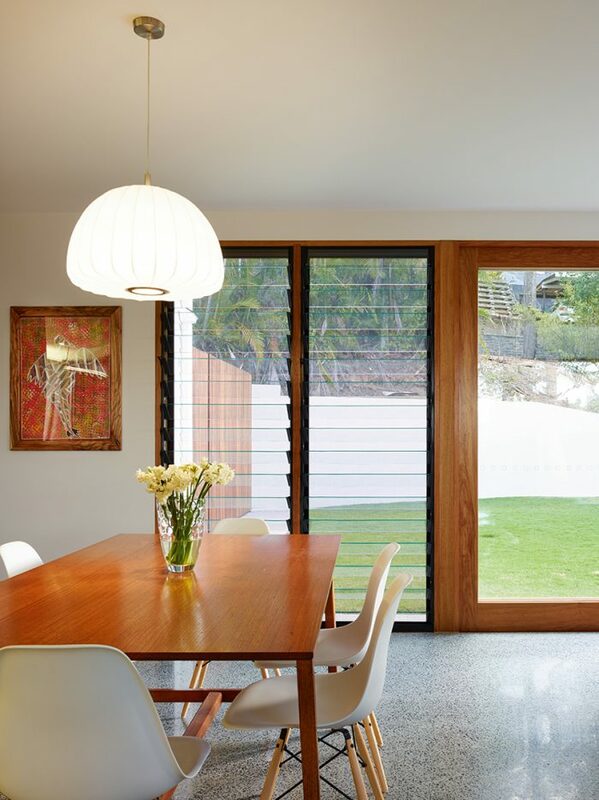 “We didn’t want to undermine what was there.” The original home now sits atop wide open extensions, with white panelling creating a crisp, modern look. 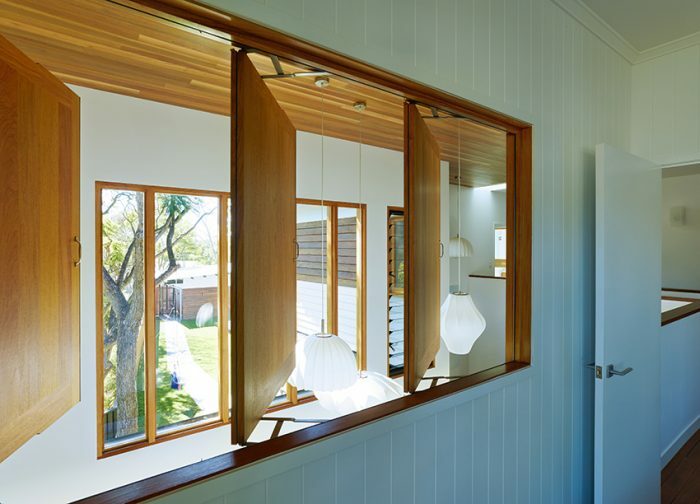 A dark timber band adds interest to the rosewood windows and doors, while below, a sun-flooded entry sequence forms a “gloriously bright and textural space”. 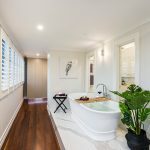 Indoors, there’s plenty of space for the family, with added hints of elegance to cater to the adults in the mix – a powder room, complementing four bedrooms and two bathrooms, is a modern must-have. 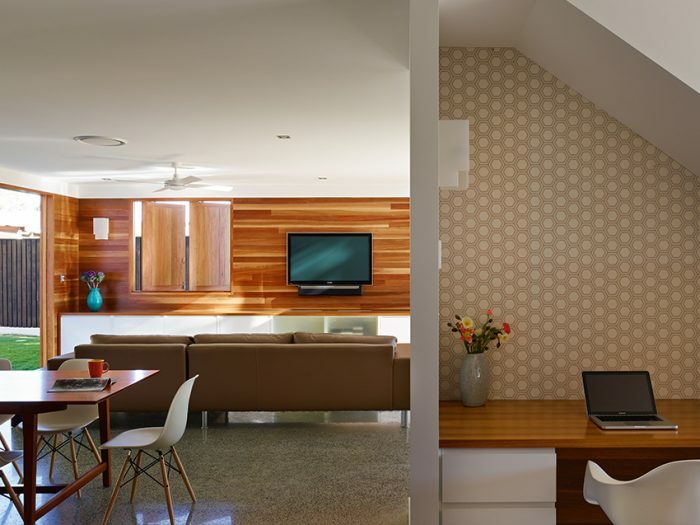 However, the team embraced the design ethos of ‘less is more’, using simply crafted materials offset by well-executed design. “We stuck to basics,” explains Shaun. 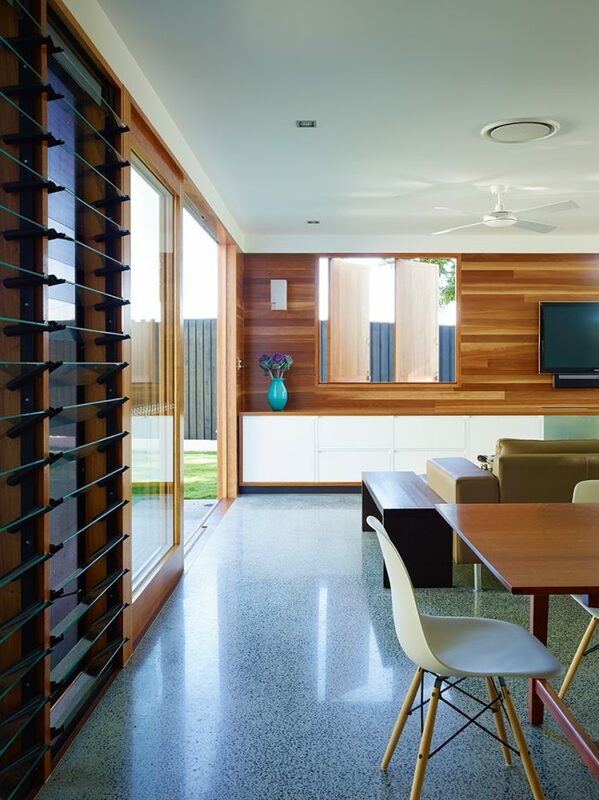 “Timber, stone and concrete – that’s what this project was all about.” Spotted gum graces everything from the decking to the cabinetry, while polished concrete with grey cement and black aggregate adds a classic touch. 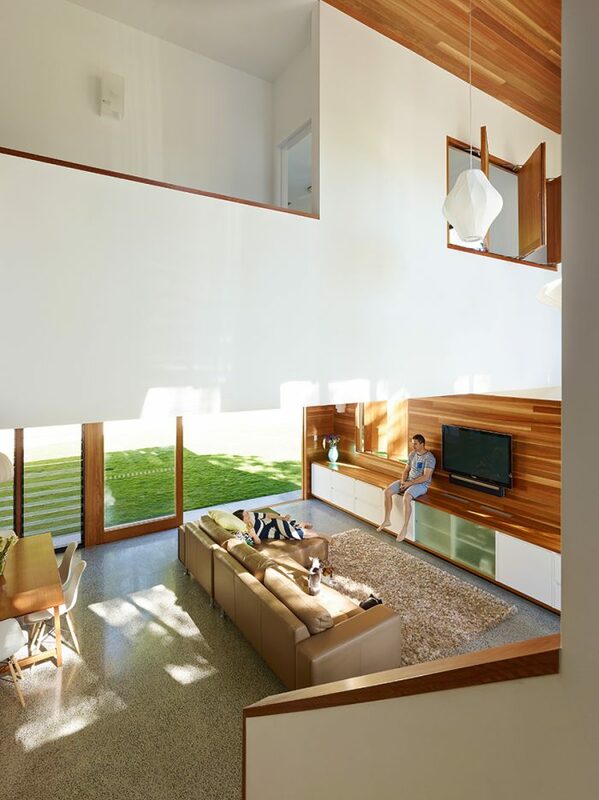 It’s a blank canvas for changing interior design choices as the years go on. Words by Natasha Pavez. Photography by Scott Burrows.